In the past year there has been a lot of promotion and discussion of Italian shirt manufacturer Marol - since it was bought into by commodities trader and menswear enthusiast Bo Yang (below). Next month, readers in London will get a chance to see them in person for the first time, when Marol come to Mark’s Club for a trunk show October 18-19, and return for fittings on the 30th and 31st. This is a smart way to do things, given shirts normally only require one fitting. 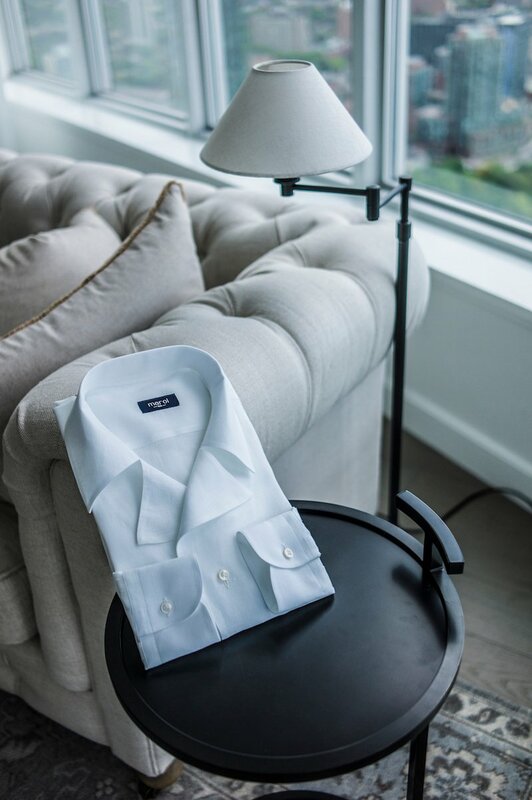 After those two visits, there will be a cohort of London men who have ordered their MTO, MTM or bespoke service, had the shirt delivered, and can consider whether they want to use it again. Marol is in many ways an example of a trend we’ve seen over the past 10 years on Permanent Style, of top-end manufacturers becoming brands. Drake’s is the best-known example, and as Michael Hill reflected back at our Accessories Symposium in 2016, the company’s London factory might not exist today if it hadn’t launched a brand. Companies like Begg and Bresciani have followed similar routes. 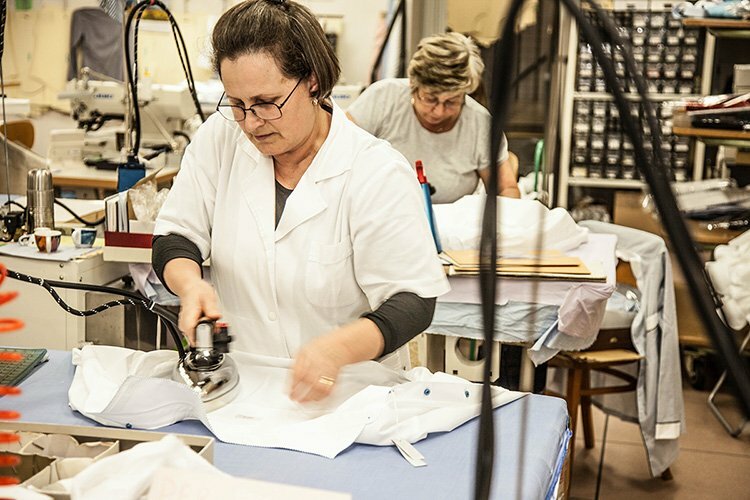 Marol is not a big atelier, with around 30 workers outside Bologna. 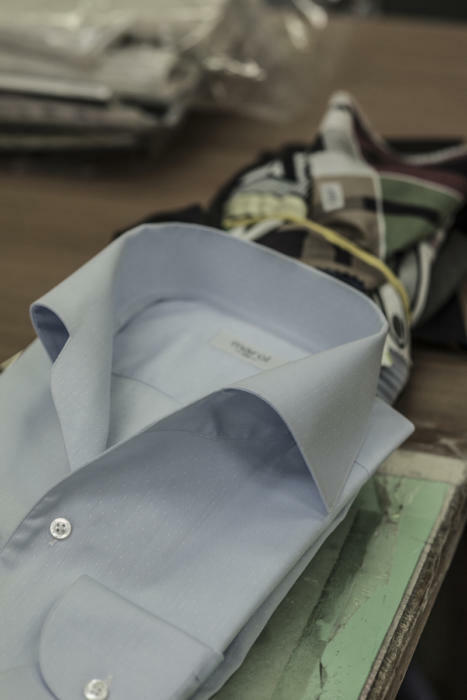 But it has been known for a while in the industry as one of the best places to have shirts made - in the same way Drake’s or Bresciani were also known. I have one Marol shirt, for example - a grey brushed-cotton from the Anderson & Sheppard haberdashery that I love - but I had no idea it was made by Marol until now. Marol shirts are made to a very-high level, in the North Italian tradition. In comparison to makers around Naples, they tend to prioritise a clean finish and precise machine work, rather than hand flourishes. The sleeve is still generally inserted by hand, and a wide, broadening seam sewn by hand around the armhole. Buttons and buttonholes may also be done by hand. But elsewhere the focus is on precise machine finishing: 13 stitches to the centimetre, 2mm side seams and hems. 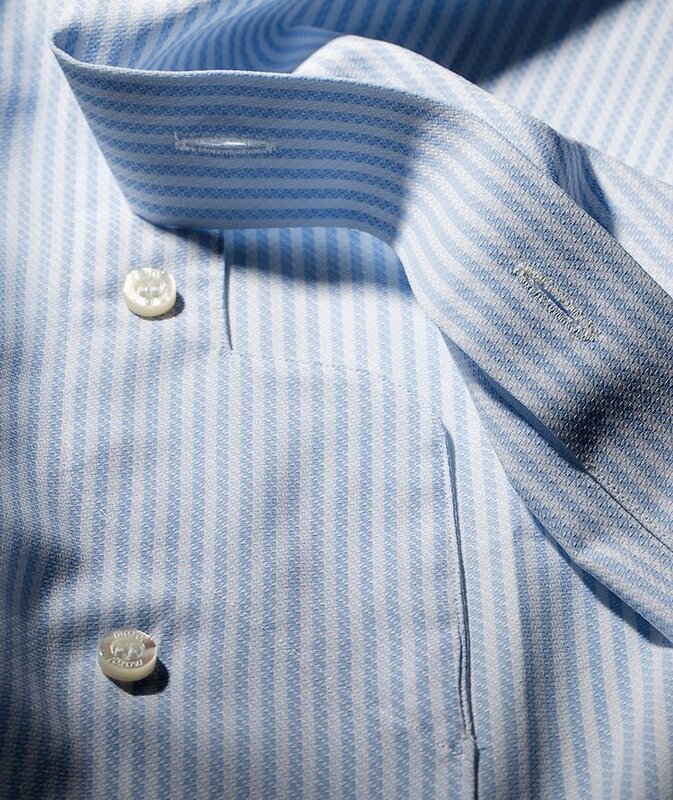 They also have the consistency of a well-run atelier and touches like a high button-shank and great pattern matching. It is a mix of the machine precision of a Charvet and the handwork of a Neapolitan like Kiton, or Luca Avitabile on the bespoke side. The fit tends to be generous in the chest and sleeve, creating an athletic silhouette. 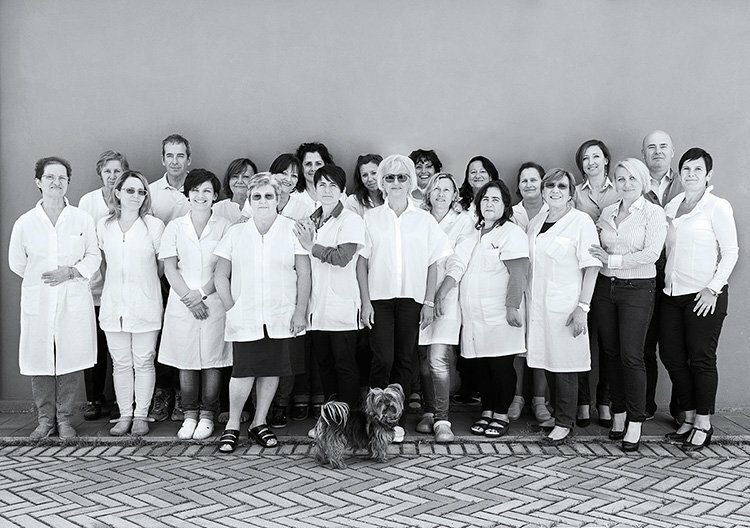 Marol is run by Manuela Vignudelli (above, left), who will be visiting both times in London. She took over from her parents, Rosanna and Luciano Saguatti, who founded the company in 1959. That history has gifted the modern creative team - involving Bo and also Canadian writer Pedro Mendes of The Hogtown Rake - an archive of innovative designs to draw on. And I think that will be crucial to the success of Marol, the brand. Because while shirts are an everyday item (where a man generally wants one consistent maker) the market for shirts is crowded, and design is the easiest way to stand out. Marol has many design styles, some of which are shown here. They are divided into four collections: Eleganza for dress shirts, Volo for off-duty, Sogno for flair, and Opera for the evening. Many of them are too showy for me - particularly the strong patterns and denim evening shirts. There are also nice details on some of the shirts that are subtle enough not to be gimmicky. These include the front-panel overlap on a shirt (bottom of this post) and the pleating effects on dinner shirts. The biggest issue Marol is likely to face is price. 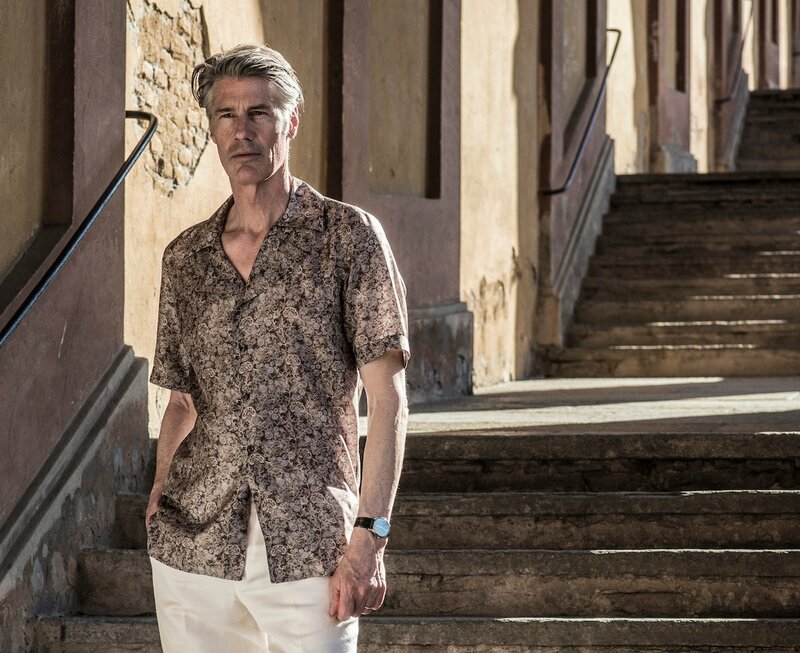 Shirts are priced quite highly across all ranges: £275 for MTO (standard sizes) £318 for MTM (made to fit, from a block), and £367 for bespoke (unique pattern, with one fitting). The ready-made shirts being sold by The Rake are £295 to £495. This puts Marol closer to the big designer brands than to the other small Italian makers readers will know on the bespoke side, such as Luca Avitabile or D’Avino, and is almost the same bespoke price as Charvet. In some ways Marol shirts are better made than the designer brands, but it might be tough to compete against their design teams and strength of brand. Bo’s attitude is that Marol will produce the highest level of craft, from a maker with an authentic history, and price as they see fairly. As he sees it, like the Cifonelli of shirtmaking. 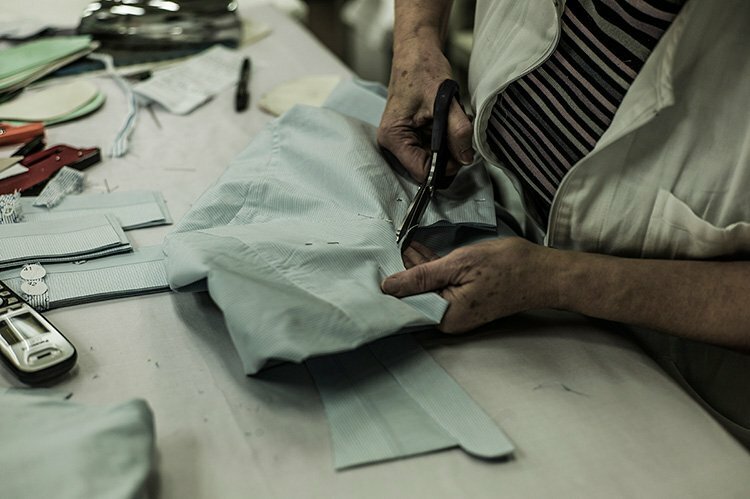 They won’t worry too much about the competition, as many tailors haven’t done historically. Bo and Marol also deserve credit for bringing a top-quality, storied shirtmaker to broader attention. And it’s hard to think of any other shirt maker taking such a fresh look at design. You can follow the discussion on Marol shirts – coming to London by entering your email address in the box below. You will then receive an email every time a new comment is added. These will also contain a link to a page where you can stop the alerts, and remove all of your related data from the site. Not my taste either. Some of them look like a bit like pyjama tops. But this provides an opportune moment to raise a question that’s been bugging me for a while. Presumably there is only so much handwork and luxury materials that can be put into any garment and therefore one must inevitably reach a point where the price ceases to reflect the cost of production and become purely about brand / status / conspicuous consumption etc? If so, do you think there’s a natural ceiling in price for shirts, suits, shoes, etc., beyond which you’re simply throwing money at a producer for the ‘privilege’ of wearing something that has their name on it and which you know that 99% of people couldn’t afford? Put simply – is it ever worth paying £500 for a ready to wear shirt? There’s certainly a ceiling in terms of handwork, and brands like D’Avino, 100 Hands or some Kiton do pretty much all that you can. The true “worth” of anything is what someone else is willing to pay for that thing. So consider that there is a thing in marketing called exclusivity. That is, some people buy things generally for the quality, but also precisely because most people cannot. As an example, I am sure Patek, Mercedes and Liverano could all make a mass-produced cheaper product, slap their name on it, and make a fortune — all at the expense of loosing their base clientele – some of whom buy because of exclusivity – very rapidly. So, the question “is it worth it” is of little practical value and is usually asked in a loaded way (i.e., it’s not worth it, is it?) when experiencing some cognitive dissonance at not being able to afford certain things we want and cannot afford. This shouldn’t be taken as an insult, it’s merely an armchair analysis of human nature. Having seen some Marol shirts (not ordered though), I can indeed confirm that they are well made. However, I would rank 100 Hands’ work higher than Marol’s. The attention to detail, level of handwork and overall look of the shirt are nicer, to me. That might be because I find 100 Hands’ product to be a real piece of (mostly) handmade art. They are also slowly starting to issue new designs whereas admittedly Marol has had some interesting ones for a while. The blue silk shirt with white piping you posted above is a good example. It’s very much reminds me of the La La Land movie and its style / atmosphere. I have no doubt Marol can find its way and clientele but it needs to be a wealthy one. Like you, Simon, I’m not a big fan of the showy prints and of the denim evening wear but it has the advantage of innovation over others. I’ve also tested Charvet bespoke and was mostly disappointed, especially at that price point. I now tend to stick to 100 Hands for bespoke and Mazzarelli for MTM, which I’ve found to be very consistent and at a good price point. The polos of Luca Avitabile are however the best on the market. 100 Hands is a level above in terms of work – not only is far more done by hand, but the precision and consistency of it is the best I’ve seen. My only question with them is the fitting and styling (eg re-cutting a style of collar for the customer) so interesting to hear your positive experience. Keen to try this 100 hands lot. Read good things. Do they do London trunk shows? Also – do you know where they fit in on the pricing spectrum. Thanks. I’ve actually been having things made with Robin for about a year – but wasn’t aware of 100 Hands working with him. That is indeed true that Robin Petterson is offering B&Tailor Suits and 100hands Bespoke shirts. We are planning to be in london from Dec 8 to Dec 10, we would be happy to meet you and any of your friends/family. Thanks! Thanks for your kind words Anon. We are in london from Dec 8 to Dec 10. We would be happy to meet you. Just drop me a mail at akshat@100hands.nl and we shall coordinate with you. That’s plain crazy pricing, sort of on level of Lora Piana where majority of their customers don’t really care as to what the price tag says, they buy it on the premise of quality and brand equity. While Marol is prob up there in terms of quality, brand equity wise they are nowhere near and prob will never be, unless they are boght up by LVMH or alike. I’d never pay even half of their price for RTW – there are simply too many better options, like Botrlelli, Isaia, Kiton etc that can be had for half or slightly higher. Good luck to the owner though, I am sure there are people out there for every quality product and while I’ll never be one, I can see how the brand can flourish betting on ultra rich. Its fascinating from a business perspective to see what these ultra high end brands are attempting to do. Im not convinced that its a smart idea to pitch at this end of the market. I’ve got a feeling that LVMH and its fellow travellers are empire building on the back of one or two strong money spinners which bankroll the rest of their crazy brand portfolio. I live in London and travel a lot around Europe and every time I walk through a Bond Street or equivalent street most of the ultra high end stores such as Loro Piana are completely empty ( I actually used to buy LP jackets pre takeover when prices were a little more palatable). The few stores which seem to have some clientele are your extremely strong luxury brand name presence ones, Gucci, Hermes, RL come to mind. I can see they sell most of their goods through third party retailers so its not an issue for them however the ultra high end stores usually don’t. I can’t see how most of these ultra high end stores make their sums add up, the expensive real estate to rent, staff cost, marketing cost etc with a couple of customers if your lucky coming in and dropping a few thousand bucks every now and then. Your reliant on a relatively small pool of International jet set types, usually bankers, kleptocrats and their families. The worst recent example of this Ive seen is Louis Vuitton taking up a whole block of real estate in Warsaw. Each time I walk by I don’t see a soul in there. Prices in Poland area fraction of those in London, NY etc. with salaries also proportionately lower. They also don’t have the international jet set class floating through like somewhere like London. How many people in Warsaw are going to splurge 2k on a bag? I reckon a recessionary period, with cost of capital rising, with some of those old money spinners getting tired and a group like LVMH is going to run into big trouble with the house of cards falling down. Maybe Ive got it all wrong and missed something, perhaps you get some kleptocrats wife coming in after the shops are closed to plebs like me dropping 50k in one splurge? God knows! Isn’t the point of many of the big brand boutiques mainly to give an air of exclusivity to the brand, so that they can sell make up / sun glasses / perfume etc to the ordinary person at extreme margins? I don’t think Tom Ford for example makes much from his clothing line as such, but according to a recent FT interview has revenue of about USD 2bn from perfumes / make up / sun glasses etc. I have always thought therefore that the flagship stores etc of the luxury brands were all about marketing and at best was a break even affair on a shop by shop basis. In other words, despite the extreme prices of the clothes sold at these shops, there is little profit in it for the companies, it’s all about creating the «brand» to sell the cheaper, high margin products to the wider public. That certainly does help, and is where the easy money is. But that only applies to some brands – Loro Piana doesn’t do much perfume and Hermes doesn’t do much in sunglasses. Loro Piana does have some very pricey products it’s true (the vicuña in particular) but not all. Most trousers for example are a comparable price to Anderson and Sheppard Haberdashers. I was in LV about a month ago on Bond Street on a Monday and there was a queue to get served. There were some big spenders in there from what I could over hear. I remember hearing stories of people going into Bijou in Beverly Hills and spending $1,000,000. in one go. The business is still there I think, it doesn’t take a lot of these customers to have a good day. I’ve not seen 100Hands’ shirts being offered in London. Do you know if they offer their bespoke service in London and could you provide indication of price? Do you have any personal experience of them? If so, a separate post maybe? See reply on the same point below. My experience was four years’ ago, and I know they have improved since then. Back then I had a shirt made by them but fitted by Joe Morgan – and the results from a fit point of view weren’t great. I generally haven’t covered them because the vast majority of what they do is RTW, and I’d generally push readers towards bespoke on shirts. They also haven’t had any retailers in London. 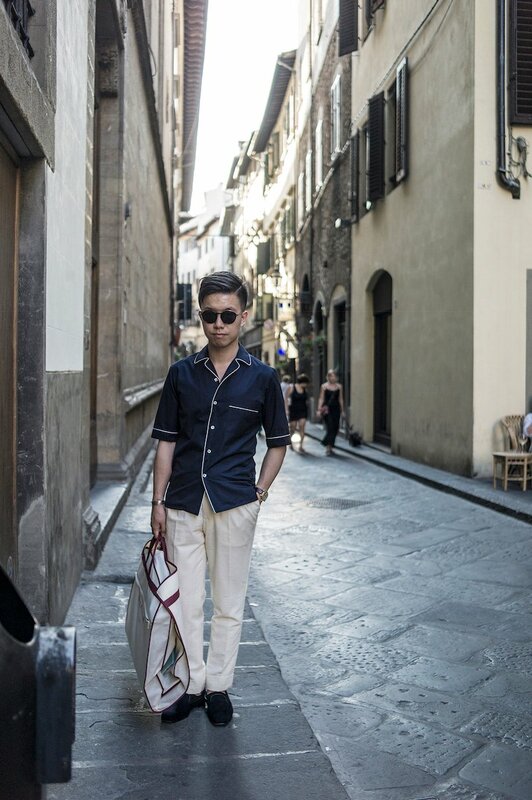 Shirt fit is very important to me as it is one of the reasons I turned to Luca Avitabile. I found that I spent a fair amount of money on designer shirts that were, quite frankly, appalling fit for me personally. Must admit, i did not think that at the time. The name on label seemed more important. Luca has fulfilled my aspirations nicely in terms of fit, price, style and service. My only issue is that many of the fabric patterns brought along at the trunk show tend to be samey. It would be the only reason for perhaps trying someone different. I can only speak for myself in this regard, but I find it very difficult envisaging a shirt in “new” fabric pattern with the minuscule swatch sizes. Marol are more than I would be willing to pay for. As for 100Hands, I’ve heard good things about them but without better presence locally in London, I’ll be sticking with LA. As with all your work, much appreciated article. I tried them when they were in London a few months ago. I ordered one shirt from their ‘black label’ which has less handwork and the price including delivery was £290. The handwork was impressive, but I was disappointed with the fit. We shall be in London on Dec 8-10 on behalf of The Rake Magazine who showcase our shirts at Simon’s Pop Up Store. We would be very happy to meet you and do personal fitting if it would be interesting. Feel free to mail us and we shall plan with you. Zegna has a surprisingly good shirt made to measure program. The fabric selection is fantastic and the workmanship, combination of machine and hand, is very good along with excellent model design. Another trend in the market is the constant promotion of new, overpriced brands (usually backed by equity partners seeking a dividend) that feel they have price equity with peers but without their legacy. This is a real danger – Kiton, Charvet et al have taken decades to buld the brand, the design, the reputation (as well as sourcing some of the finest cloths in various supplier partnerships). It can therefore be argued that their price is deserved. It is a classic mistake of new entrants to price match to the highest level without earning prior market recognition. Quality may indeed be high, but the price is unearned and will put off buyers as the brand, as yet, has no real standing. Better to start at a reasonable position, achieve proper recognition then raise prices in valid increments. Incorrect strategy endangers not only the brand but the hard work of the many that manufacture the product. You mention bespoke comes with one fitting, surely they must do more if the shirt isn’t right? Yes, absolutely. Often only one is required, but they will do more if needed. That was more to highlight that MTM does not normally have a fitting. But again, changes can be made. It is difficult to show creativity with men’s shirts without straying into girl’s blouse territory and although the photographs together with Simon’s review would imply high quality, personally I wouldn’t be seen stiff sporting them. They are way too feminine and the pricing is for the read and laugh file. Over the years I’ve had some unfortunate bespoke shirt adventures. Probably the worst and most expensive being Charvet. That said, I’m still in search of perfection and would love to find the perfect collar and am drawn to something higher that could be worn open with an A&S jacket. Simon, any suggestions as to visiting Italians who could handle such a request? The only thing I’ve found approaching success is a particularly high collar from Luca Avitabile – buttondown helps. 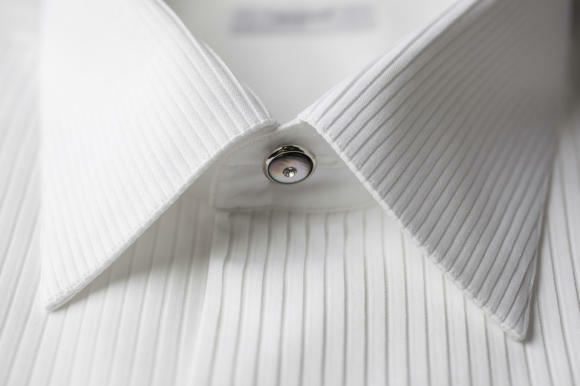 But A&S just use a very high collar, which it is difficult for any shirt to sit open inside. I wonder if it is the shape and not just the height that is posing issues in finding a solution ? Maybe the collar needs to be as high as the neck allows a the back but also fuller at the front and NOT too cut away (if cut away at all) ? Something like Prince Michael Of Kent sports or that Michal Brown spoke about during the PS dinner video ? My PS Friday polos work well with my A&S cord suits so it can be done. It’s just a question of finding the right cut. All without finishing up looking like Harry Hill. We need to channel our inner Jason King. Frankly, I think collars are so important they deserve a post of their own and maybe you could ask the usual suspects to come up with a solution and you could road test them with your fabulous cord A&S DB ? Simon, in the summer you did a post about weddings. This Thursday I will go to a funeral where the only request is no black. I will read so should look the part without being over the top. Any advice? Thanks Simon, you confirmed my feeling. Navy suit, light grey shirt and nave tie. Brown shoes. Went well. Most would agree that “Armani” is a brand. He parlayed his fashion house into X, where X = chocolates, hotels, perfumes, house wares, restaurants, etc. I would suggest “Marol” is not a brand. They are shirtmakers, who have been bought by a rich guy. Now they make….shirts! Hugo Jacomet has promoted them heavily over on his weblog. So it is nice that another authority has started to comment on them. Hugo Jacomet has written so much about Marol, and nothing of it is critical. It seems obvious that Marol is paying Hugo for content but I may be wrong. Hi Simon from your comment it seems the cloth ranks quite high in terms of contribution to the cost of the shirt.Have you heard of or ever tried shirting cloths from Gianfranco Fila? I wouldn’t necessarily say that. It’s a relatively small part of the cost, but obviously for the shirtmaker it’s often their largest fixed cost. I have heard of them, but haven’t tried them. I really find the style of Marol interesting. However, in terms of handwork and precision, what would you choose between Marol, 100 hands, and Luca Avitabile? Do you know where I can buy 100 hands in London? We can assist you during one of our visits to London. Can you please send us mail at info@100hands.nl and we will coordinate with you for all details. Thanks a lot!!! I know, Simon, that you haven’t had a Marol shirt made. However, based on your research, do they have hand-sewn collars on the round, along with all the other handwork that you think is of most importance in a shirt? I.e. their shirts have all the important quality elements that you expect, and then additional aesthetic work and design, with a resulting high price?